Welcome to the latest post in our “Metrics Monday” series. In my last post, I discussed how an overemphasis on startups is not the best metric for technology transfer offices (TTOs) to focus on in pursuing economic impact goals. Today, I’m going to talk about some important metrics that most TTOs don’t track… but should. Why these metrics? Because these three metrics indicate whether your TTO is on the right path to achieving higher targets for your university’s government funding and industry sponsored research agreements (SRAs). And these targets will have a much bigger impact on the local economy than most startups will because they lead to hiring more staff that are high-salary jobs. Your university needs to be recognized by federal agencies as a viable entity before they will give you grants. It is difficult for a new professor/researcher from a school that receives little to no funding from, say, the National Institutes of Health (NIH) to win that first grant. But once that funding starts coming in, it’s easier to get more in the future. Success in this area will show up in increased federal research expenditures at the university, particularly funding coming from new sources and going to new (i.e., previously unfunded) faculty. The same professor continuing to receive funding from the same agency is not an expansion of your TTO’s reach and impact on the university. Note: Because it will take a few years for this metric to show up on the books, the best way to communicate this metric to stakeholders in the meantime is through anecdotes and testimonials. Like the federal government, industry tends to work with those they already know or with institutions/faculty that have a good reputation. Building your reputation with relevant companies increases the chances that they will send SRA funding your way. Increases in SRA funding will be particularly relevant when they are from companies that the TTO had identified and/or that weren’t already doing business with the university. Many young professors look at more than just the traditional teaching/research environment when deciding where to go. Many are aware of tech transfer opportunities and, therefore, look for TTO capabilities. Getting high-quality staff leads to more R&D funding for the university, which can lead to more research staff and grad students, etc. All of that leads to high-paying positions in the state that pay taxes (i.e., high-quality job creation). Once new faculty have joined the university, meet with them and ask what contributed to their decision. If they say the TTO was a positive influence, document the testimonial and start tracking the invention disclosures and research funding that faculty member brings to the university. Obviously the TTO isn’t responsible for 100% of the value brought by the faculty members in these cases, but the TTO did help secure them and get these new inventions and research funding into your state and not somewhere else. What other “not-your-average metric” measures does your TTO use? Post a comment below or send me a private message. 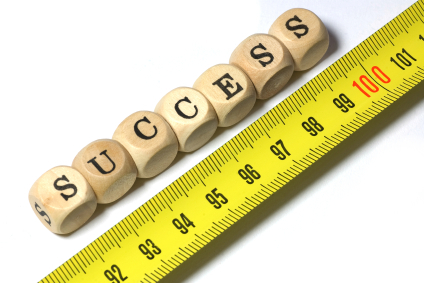 In my next Metrics Monday post, I’ll focus on metrics for measuring knowledge transfer success.